We're getting very excited about the craft fair now. It's coming around so quickly. We're also so pleased about the amount of great talent that has contacted us. We have so many interesting and unique crafters and artists coming along to showcase their work. 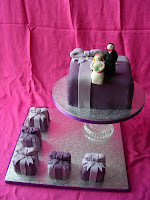 Bespoke celebration cakes for every imaginable occassion. The Crafty Carrot Cake Co.
We've also confirmed a vintage corner and waiting to hear off a chainsaw sculptor. Our first event is here! We are very excited to announce our first Central Bazaar Craft Fair Event. We have had lots of great artsists/crafters/bands involved already but we're still looking for people to make the day even more interesting. -Your website address if you have one. We have two table options available. Option one is a 5ft table that you will have to yourself, this costs £10. Option two is a table share where you will share a table with another person this costs £5; this option is great for people who have limited stock, just starting out or who only need a small space to sell their items.